Thank you for considering Sun Harvesters for your solar research source. OUR MISSION: We design and install solar systems on homes and commercial buildings, with the intent to create local jobs, reduce clients' energy costs and bridge any and all knowledge gaps between the client and the world of solar expertise in America. We strive to assist in a greener future for our children's inherited planet. 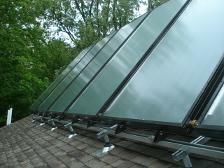 We are your solar pool heating and domestic water heating specialists. Act now to begin lowering your electric bill immediately and break free from the high cost of gas and electricity supplied to you by your local utility company. As electric prices continue to rise the demand for alternate solutions is through the roof and we have the solution for you on your roof. Please feel free to email us at customerservice@sunharvesters.net with any questions you may have and one of our agents will be in contact with you as soon as possible. The sun's energy hitting the earth in 1 day is enough to power the earth for FOUR YEARS. 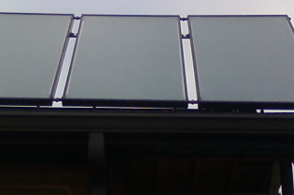 Solar energy is simply converted via panels into MONEY in your bank by way of avoiding sending it to utility companies. The Florida Solar Energy Center has produced 2 valuable insights over it's decades of watchdog-role. A home with solar energy production sells 2.5 x faster than one without; and for every $500 a year of utility savings it produces, it is worth $10,000 in equity value. Solar systems appreciate in value over most of their life since they always have future $ production value, until the end of the lifespan which is currently 50 years and climbing as systems installed in the late 60's are still producing today. -REBATES are carried wherever applicable by Sun Harvesters to save you the arduous task and the up-front money. -Arizona pool heating, Kentucky, Ohio and Indiana pool and Domestic hot water. -Also providing wastewater heat exchanger technology to avoid flushing all of your solar heating down the drain.